Anecdotal evidence permeates accounts on the impact of the global economic crisis on Philippine poverty. This study systematically assesses the evidence and recent data. It adopts a somewhat eclectic approach as applying regression and decomposition techniques to trace the impact of the global economic crisis on gross domestic product and its major components, constructing panel data from nationally representative household surveys to trace the changes in household welfare during the crisis, and combining national income accounts and household survey data to simulate the differential effects of the crisis across population groups and social divides. Empirical findings suggest that although the Philippine economy did not slide to recession during the crisis, its impact on the economy and poverty across population groups was nonetheless severe—and may linger for many years to come. The paper examines the extent to which current account imbalances of euro area countries are related to intra-euro area factors and to external trade shocks. We argue that the traditional explanations for the rising imbalances are correct, but are incomplete. We uncover a large impact of declines in export competitiveness and asymmetric trade developments vis-à-vis the rest of the world –in particular vis-à-vis China, Central and Eastern Europe, and oil exporters- on the external balance of euro area debtor countries. While current account imbalances of euro area deficit countries vis-à-vis the rest of the world increased, they were financed mostly by intra-euro area capital inflows (in particular by the purchase of government and financial institutions’ securities, and cross-border interbank lending) which permitted external imbalances to grow over time. 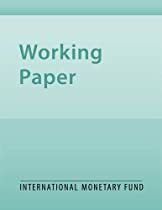 In this paper we investigate whether better information about the macroeconomic environment of an economy has a positive impact on its capital inflows, namely portfolio and foreign direct investment (FDI). The purpose of our study is to explicitly quantify information asymmetries by compliance with the IMF’s Special Data Dissemination Standard (SDDS). For FDI, we find statistically significant and robust support for this hypothesis: SDDS subscription increased inflows by an economically relevant magnitude of about 60 percent. We also find evidence of aversion against political and macroeconomic risk as determinants of portfolio and FDI flows anduse a non-parametric test for spatial correlation in the residual of capital flows. A multispeed global recovery is under way, with some emerging markets in the lead and the major advanced economies growing more slowly. 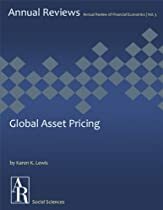 This macroeconomic setting has brought a return to easy global financial conditions and high commodity prices-a situation likely to be sustained for some time but unlikely to be permanent. Against that external backdrop, the recovery in the Latin America and Caribbean region overall is advancing faster than anticipated, but moving at different speeds across countries. The report discusses the varying policy challenges that different countries face as the global recovery proceeds. 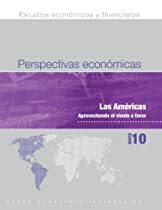 Chapter 1 analyzes the global setting and the outlook for the United States and Canada in particular, while Chapter 2 focuses on the outlook for Latin America and the Caribbean. Chapter 3 looks in depth at the challenges arising from the return of easy external financial conditions. Together with high commodity prices, such conditions represent favorable “tailwinds” for many countries of the region, but also carry risks for policymakers to address. 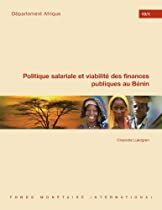 Il volume raccoglie una serie di scritti frutto di cinquant’anni di osservazione e di studio dei più importanti problemi della politica economica europea. 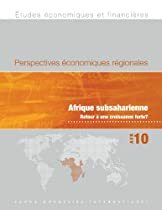 In un periodo nel quale si avanzano dubbi e ripensamenti sulla costruzione europea, il testo sottolinea quanto già prospettato in uno scritto del 24 ottobre 1959: la necessità di impostare e condurre una politica anticongiunturale comune europea, atta a superare le carenze e le deficienze delle politiche nazionali.